The houses that you can see through the forest are a hotel. 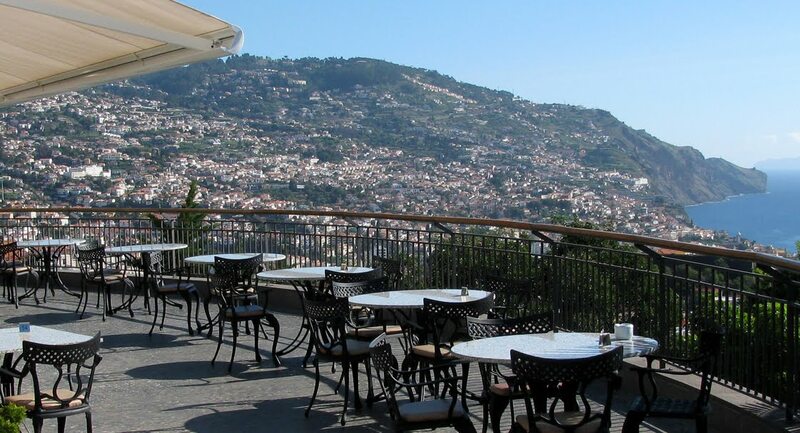 This is the five-star Choupana Hills, which is a different offer hotel in Madeira tourist destination, which has the characteristic of concentrating most of their hotel complex in the island capital, Funchal. 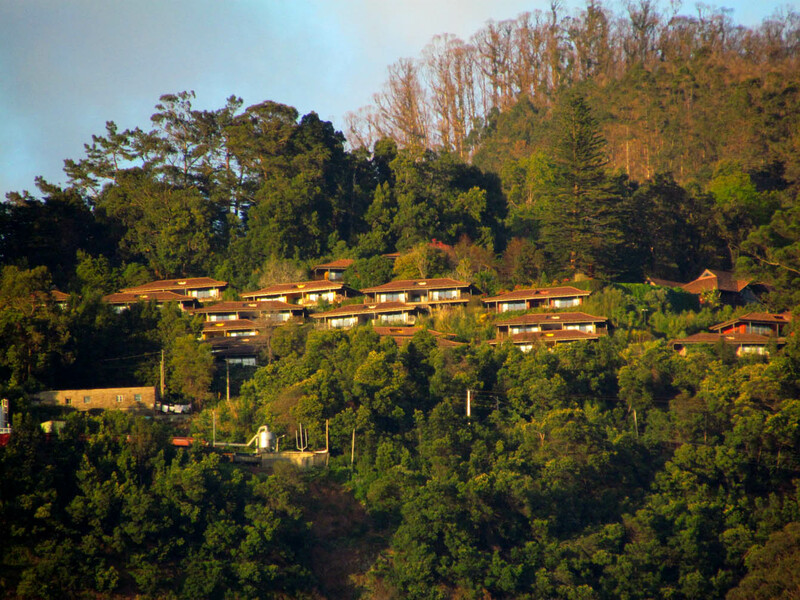 As casas que podem ver no meio da floresta constituem um hotel. Trata-se do cinco estrelas Choupana Hills, que constitui uma oferta hoteleira diferente do destino turístico Madeira, que tem a particularidade de concentrar a maioria do seu parque hoteleiro na capital da ilha, o Funchal.